"Eddie Angel & Cindy Fee"
Guitarist/vocalist from Los Straitjackets. His real name is Eddie Heeran. These are covers of songs that the Beatles supposedly performed before they hit it big, with an American playing the songs in a '60s UK beat kind of way. Well guys, tell me, did the Beatles really perform 'Almost Grown' in Hamburg or Liverpool or wherever in those early days? It's not on any record! 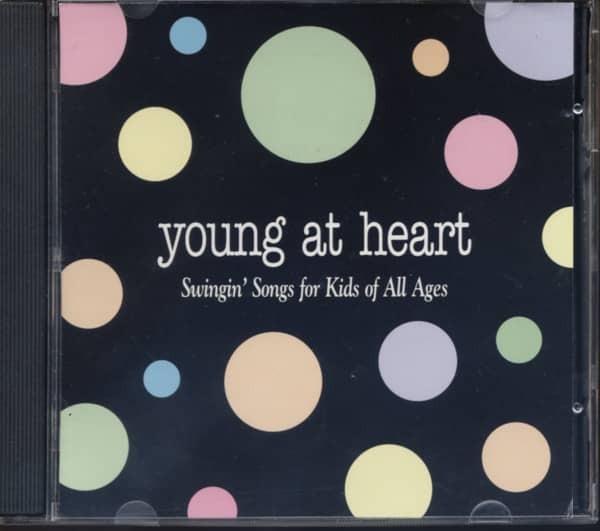 Kundenbewertungen für "Young At Heart - Swingin' Songs For Kids Of All Ages (CD)"